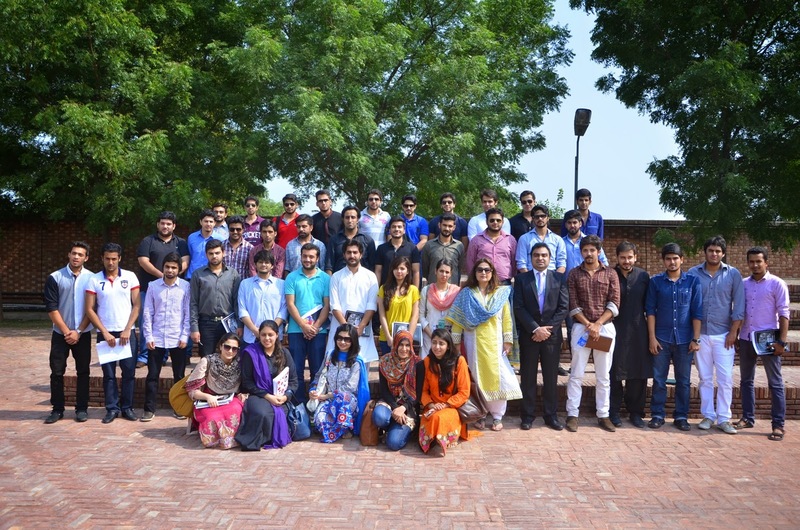 Mr. Umer Saeed Khan, CEO Activ8, visited the Lahore School of Economics to deliver a lecture to the graduating class of BBA on September 22, 2014. Mr. Khan gave a very inspirational and motivating talk to the students on strategy, mission and vision. Mr. Khan briefly talked about Activ8. 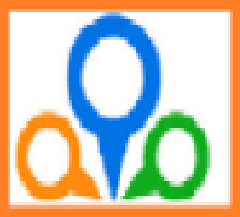 “Being a management consultant company their mission is to activate the potential within a person. An organizational mission is an organization’s reason for existence. It reflects the values and belief of top managers in an organization,” said Mr. Khan. He said that it is very important to take risks and chase dreams. One should always live one's dreams and not anyone else’s. 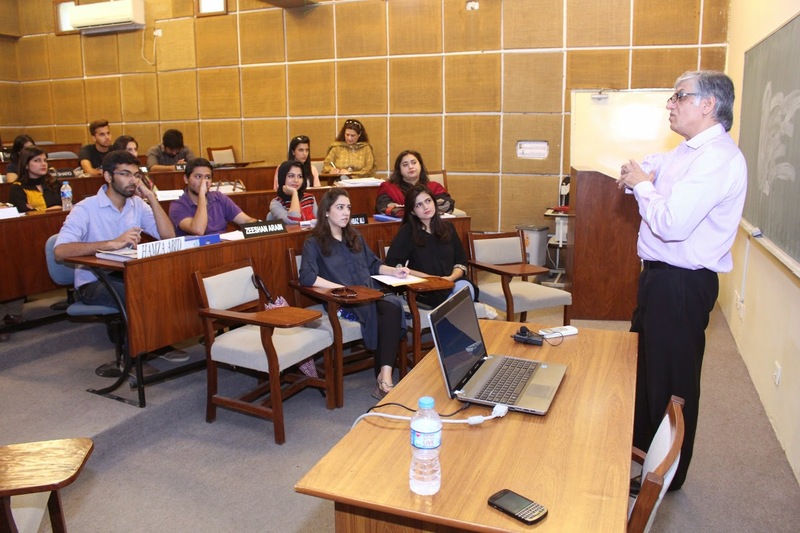 Mr. Adeel Anwar, Director Organizational Excellence Warid Telecom, was invited to the Lahore School of Economics to deliver a lecture to the undergraduate on Wednesday, September 24, 2014. After brief introduction of Warid, Mr. Anwar enlightened the students on the pre-requisites for corporate careers and how they should use integrity, fair mindedness, a persuasive and congenial personality, ability to cope with conflicting point of view, function under pressure and demonstrate discretion to achieve their goals. While talking about hard skills he said basic skills such as core computer proficiency, high impact written and oral communication skills, and incisive analytical skills were very important. 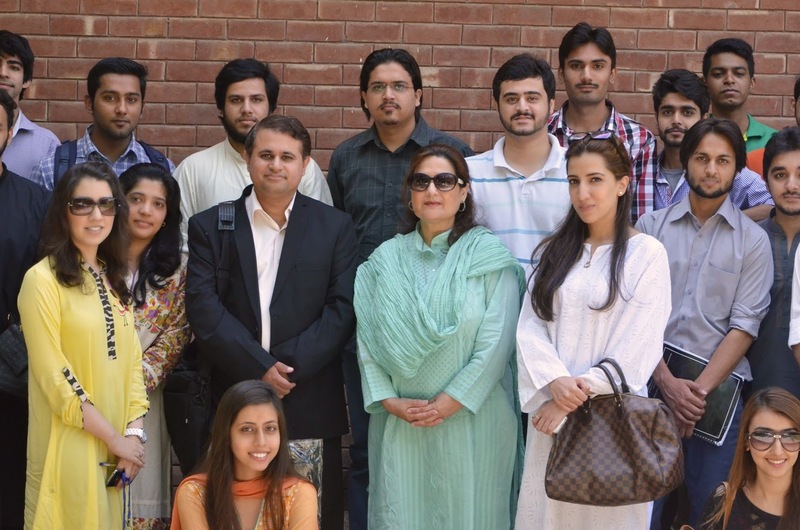 Mr. Haroon Waheed, HR Head Fatima Group, visited Lahore School of Economics on September 25, 2014 and delivered a talk to graduating students. Talking about strategic management, Mr Haroon said “any business that did not have any competitive advantage could not sustain for long in the market. He supported his point of view by giving examples from different sectors such as airline industry and automobile. Lahore School Social Welfare Society arranged a workshop with Miss Tanzila Khan on the September 19, 2014 in Mehmood Chaudhry Library. 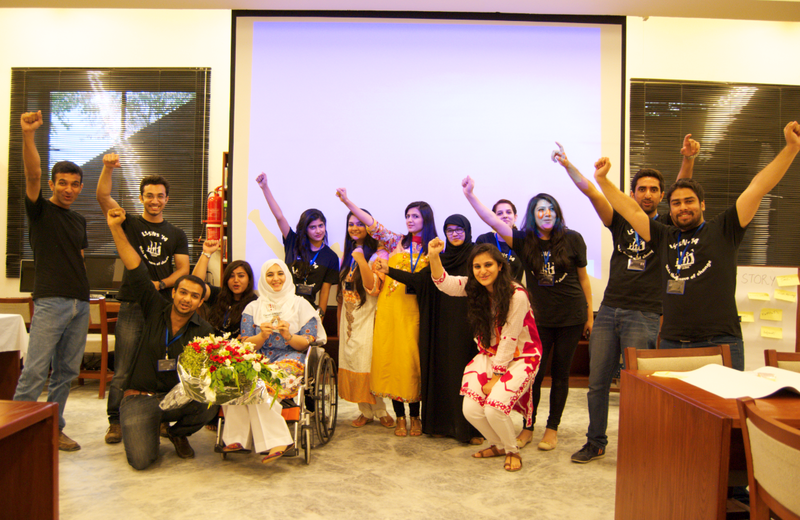 Miss Tanzila Khan talked about self motivation and how to think out of the box (she said there is no box). She asked students to tell their stories and then to sum it off on one word. The audience actively took part in the activity and some great moving stories were shared. 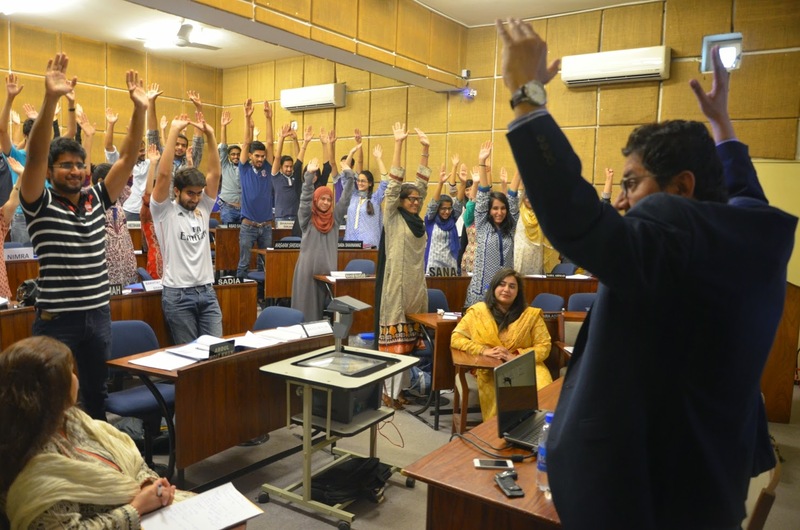 Mr. Jawad Gilani, Regional Head HR HBL visited Lahore School of Economics and delivered a lecture on September 18, 2014. Mr. Gilani started off by giving a brief overview of the Banking Sector. He said that growing and dynamic banking sector was essential for the economic growth of a country. He said that Pakistan’s banking industry and financial sector had enormous potential to support faster economic growth and development. The Lahore School Extra-Curricular Activities Department is introducing the Lahore School Academic Club (LSEAC). The aim is to increase student involvement and provide a platform for them to explore their ideas and thoughts in the subject of their interest. 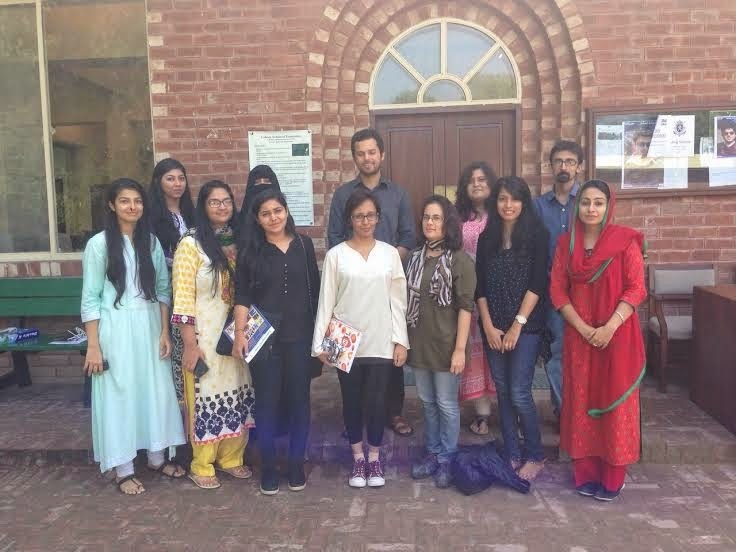 Lahore School Literature Society organized its first writing and language workshop for the semester on September 13 2014. 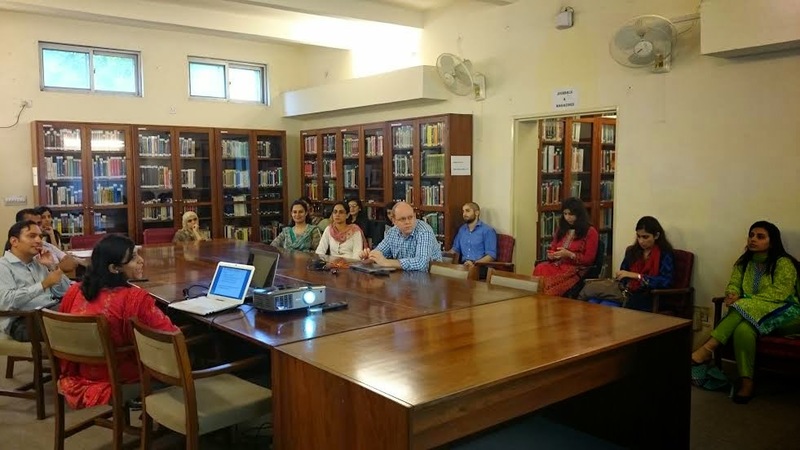 Despite the broad canvas of debate, from the emergence of Persian and Arabic, to the usage of Roman Urdu, the talk was useful for the participants. 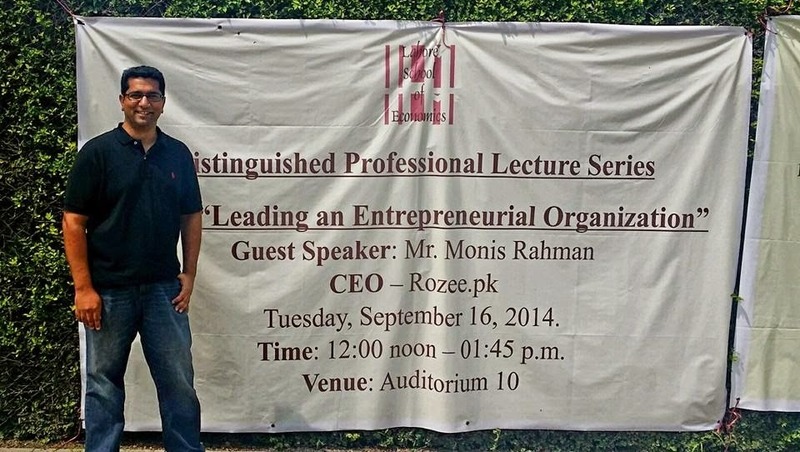 Mr. Monis Rahman, CEO Rozee.pk – Pakistan’s leading internet-based employment advertising company, visited the Lahore School to deliver a very well-received talk on “Leading an Entrepreneurial Organization” to the MBA students on September 16, 2014. 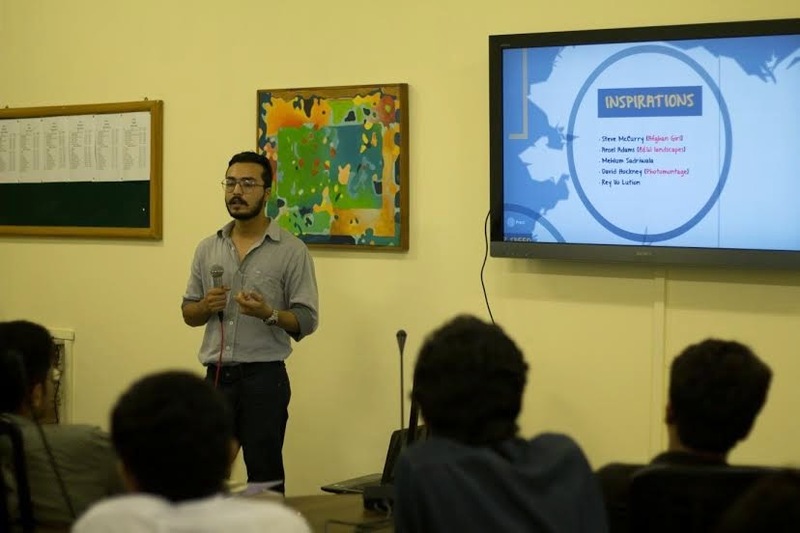 In his interactive session he introduced his company and spoke on leadership, culture and spent half of the allocated time answering questions from motivated students. He impressed the young audience with his energy, communication skills and insights gained from a most rewarding career. 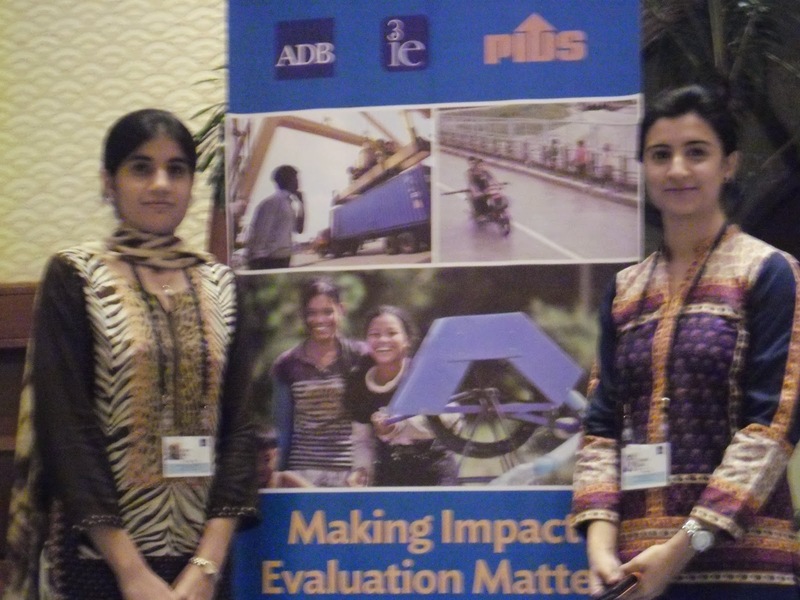 The research fellows at the Center for Research in Economics and Business (CREB), Lahore School of Economics, presented their on-going projects at the ADB 3ie Conference on Making Impact Evaluation Matter held on September 3-5, 2014 in Manila, Philippines. With more than 400 participants and speakers, this was the first large scale, global impact evaluation conference in the region. Speakers for the plenary sessions and panel discussion included distinguished international figures from the field of impact evaluation and policy making. Conference sessions covered a range of topics and impact evaluations being conducted in the field of health, education, community development, governance, climate change, poverty alleviation and other aspects of social development. The conference was preceded by 2.5 days of pre-conference workshops on September 1-3, 2014. Farah Said (Lahore School of Economics) presented the design of a study that is joint work with Mahreen Mahmud (University of Kent). The study is a Randomized Control Trial involving business loans provided to women in households where no female run enterprise exists currently. The study is being conducted in selected districts of Punjab, Pakistan in collaboration with Kashf, one of the largest private sector microfinance providers in the country and is expected to inform policy making by investing in a product that is targeted to draw new clients into their client pool. Dr. Simon Quinn, Associate Professor of Economics at the University of Oxford and Deputy Director of the Centre for the Study of African Economies at the University of Oxford, gave a lecture to the Lahore School Department of Economics on conducting research in economics and publishing research papers. Dr. Quinn is collaborating on research with the Center for Research in Economics and Business (CREB) at the Lahore School of Economics and his research interests are in development economics, focusing on the role of firms. 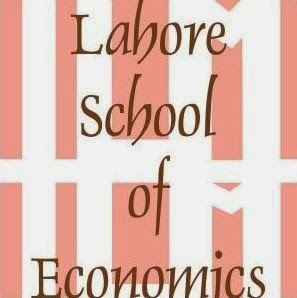 Admission to MPhil in Environmental Science and Policy is open in Lahore School of Economics. Students with BSc in Environmental Science (CGPA 3.00 and above) may apply at the admission office in City Campus. It should be noted that MPhil in Environmental Science and Policy is a full scholarship programme.